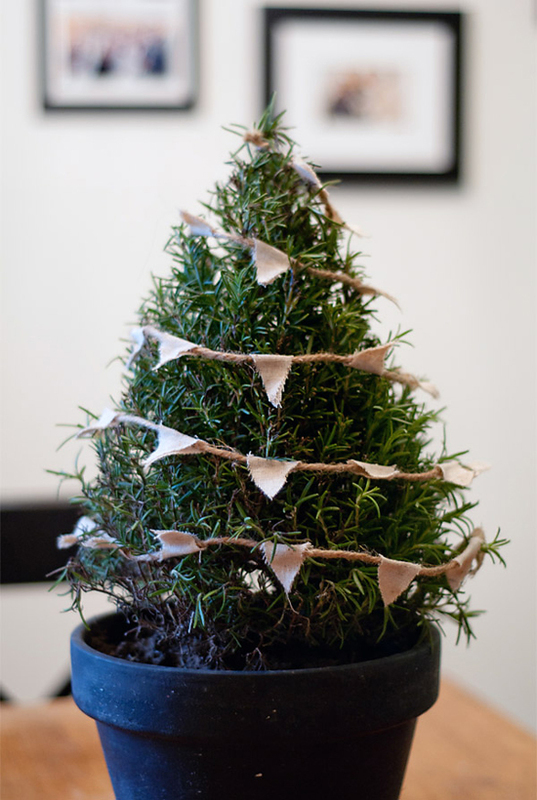 Small rosemary bush decorated with handmade bunting by Bayside Bride. 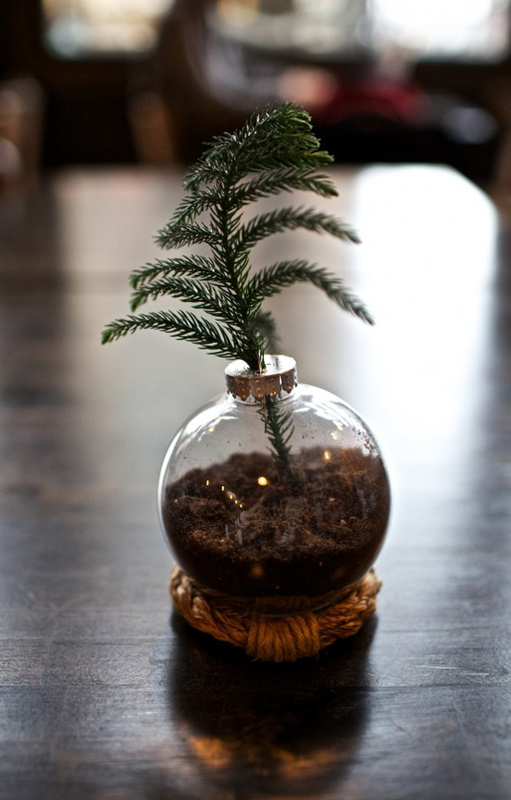 Christmas tree bruch placed inside a clear ornament ball as tabletop decoration by Gimme Some Style. 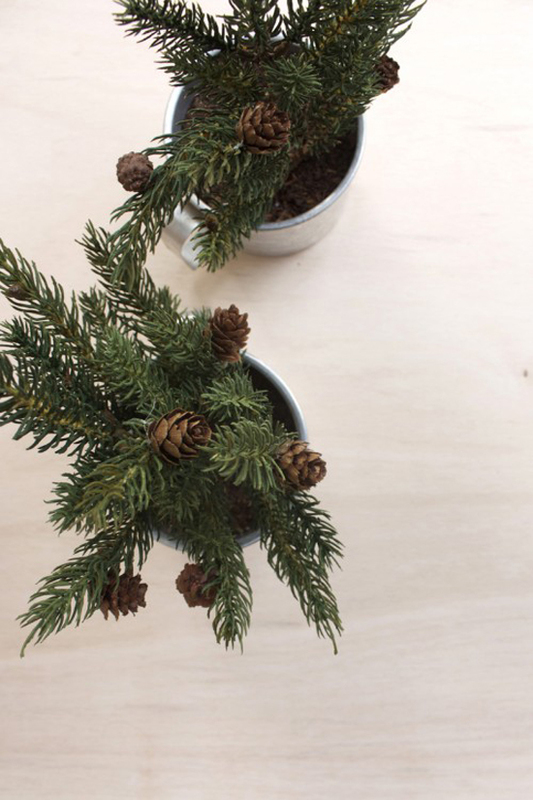 Pine branches (fake or real) inside tin mugs by Hello Lidy. 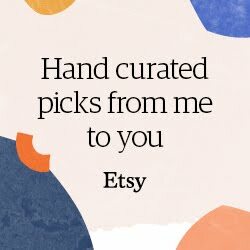 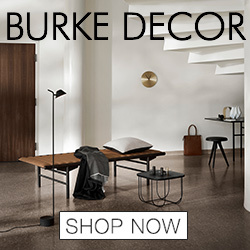 3 comments on "3 real mini Christmas trees diys"
Πολύ όμορφες ιδέες..ό,τι πρέπει για να σε βάλουν διακριτικά στο Πνεύμα των ημερών!